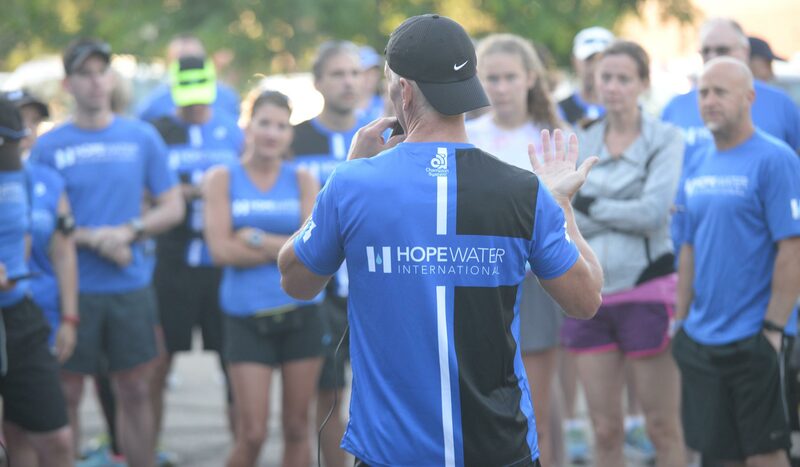 Participate in a Hope Water International campaign by creating your own fundraiser or forming a team. (October 21, 2018) Founded in 2004, the Metro Health Grand Rapids Marathon delivers a fun, highly personal, authentic race experience with a full 26.2, half 13.1, and a 26.2 relay. (October 20-21, 2018) Join Us For Our 40th Anniversary! We have an event for you whether you are ready for the full 26.2, a 13.1 half, a 5K, a one mile Kids Run, or want to join a group and do a 26.2 relay. (January 9-13, 2019) Take part in a series of races that are as memorable as they are magical—with every mile jam-packed with Disney Characters, entertainment and more! (October 6, 2018) A scenic marathon, half marathon, and 5k run/walk in the heart of the Sleeping Bear Dunes National Lakeshore. For those who give 'hope' through another race, event, or campaign. (July 14, 2018) The Ironman 70.3 Muncie takes place in the welcoming heart of America's rust belt and offers a family-friendly environment. (May 26, 2018) Celebrating its 36th Anniversary, the Bayshore Marathon has become a “must run” for runners throughout the Midwest and beyond. Many runners return year after year to enjoy the scenic courses which run along the shores of beautiful Grand Traverse Bay. Hosted by Traverse City Track Club, Bayshore features a 10K, half marathon and full marathon. (August 19, 2018) Started in 1980, the Assenmacher 100 is a fun ride through the farmland and villages of mid-Michigan. With routes of 20, 34, 56, 66, and 100 miles, there are courses for experienced cyclists as well as the casual rider. (September 23, 2018) The Brooksie Way, which began in 2008, is one of the Midwest’s premier road races, drawing runners and walkers from across Michigan and other states to Oakland County. (October 28, 2018) Hosted in the nation's capital with the start and finish in Arlington, VA, the Marine Corps Marathon offers an unparalleled journey through the most recognizable landmarks in our country. Begin the run situated between the Pentagon and Arlington National Cemetery, continue through Rosslyn before journeying into the District to tour Georgetown and the National Mall on the way to 'beating the bridge.' Enter Arlington and pass the Pentagon, tour Crystal City, and finish uphill (you read that right) at the Marine Corps War Memorial. In Africa, the pipes are what carry clean water from deep underground to the people we serve. Without these pipes, clean water can not flow. In the same way, without the operational or backend functions of this organization, our mission can not flow. (September 22-23, 2018) Spartan Race is making its long awaited Michigan debut at the Iconic Michigan International Speedway. The track and its surrounding property boasts 1,400 acres of terrain. As one of the flatter courses on the Spartan circuit, expect a quick, obstacle-heavy course, placing an even bigger burden on obstacle failures and the time spent destroying burpees. After all, it's only fitting that this "Speedway" provide a fast and furious race. (March 18, 2018) From the "Stadium to the Sea." Over 25,000 athletes from all 50 states and more than 63 countries will set out from Dodger Stadium to accomplish a personal dream by reaching the Finish Line in Santa Monica. (August 24-25, 2018) For runners and walkers of all levels and ages, the 2018 Crim Festival of Races has it all! The streets of downtown Flint will once again be packed for the city's biggest celebration of the year.